I arrived back from vacation to find these guys waiting for me. 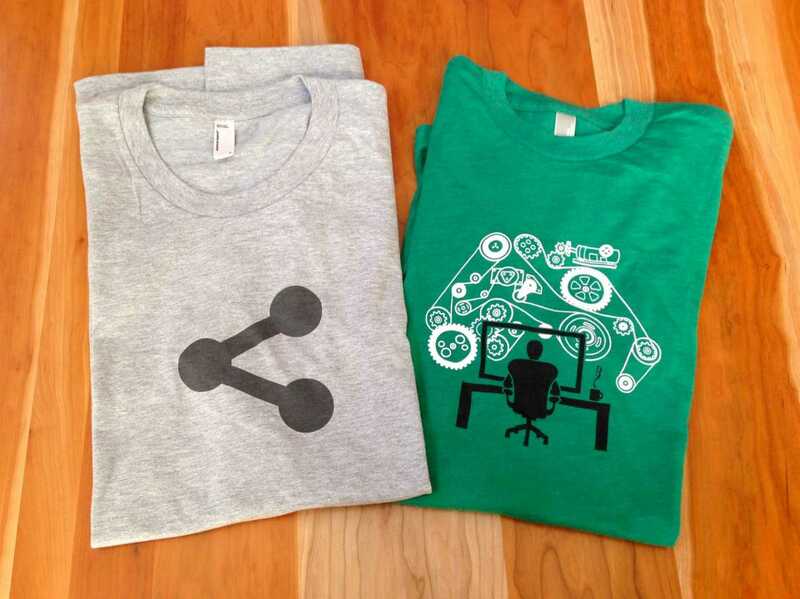 The one on the left is my own design (a simplified version of the Share Icon), printed through Custom Ink. As with all previous shirts, 100% of the proceeds from each shirt go to First Book, a nonprofit organization with the mission to give children from low-income families not just the opportunity to read and to own their first new books, but also learn to form their own judgements built with their own knowledge and ideas that they find in books. Would there be interest in a simple Share Icon shirt (perhaps in different colors) if I put together a larger run? love the share icon shirt, I remember being quite amused to discover that it was your design Alex, it’s so ubiquitous.